Union Public Service Commission (UPSC) has initiated the process of conducting interviews for the recruitment of 20 posts of Store Officers on the basis of Computer Based Recruitment Test 2015 in the Defence Research and Development Organization, Ministry of Defence. UPSC had conducted Computer Based Recruitment Test 2015 for the said recruitment in the month of July, 2015. The candidates which have been shortlisted for interview are requested to appear for the interview at 09.00 A.M (Reporting time for Forenoon Session) and 12.00 Noon (Reporting time for Afternoon Session) in the UPSC Office, Dholpur House, Shahjahan Road, New Delhi-110 069. The interviews dates are from 16.11.2015 to 19.11.2015. All the candidates are requested to bring all the original documents (alongwith their attested photocopies) regarding educational qualification, experience, age proof, community/PH certificate, equivalence certificate etc. 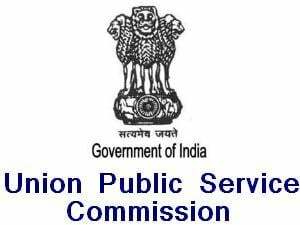 as per exhaustive details given in the Commissions website (http//www.upsc.gov.in) under Recruitment/Interview/List of documents (Annexure I) while appearing for the interview. The candidates are also requested to submit Attestation Form verified by a Gazetted Officer alongwith photograph and fill TA Bill Form (if outstation candidates). In this regard, the candidates should read carefully and follow the procedures, terms & conditions governing the Interview as indicated in the Commissions website under Recruitment/Interview/Procedure, Terms & Conditions (Annexure II) and download the requisite forms. The candidate called for interview conditionally should ensure to produce the originals of the deficient documents (for which they have called conditionally) at the time of interview. If they fail to produce the required documents at the time of interview, they will not be interviewed and their candidature may be cancelled.